IP systems deliver advanced communications that enhance the guest experience, improve customer service and optimize operational productivity and costs. Hotel guests expect simple communications and efficient services, and IP PBX systems are meeting the challenge, at a lower cost to hotels. Hotels rely on a complex web of guest applications to deliver these services, and hotel IT decision makers should choose an IP migration strategy that takes critical service applications into consideration. With the right tools and equipment, hotels can reap the benefits of IP telephony, while avoiding the risks and pitfalls. Almost every hotel has one: a private branch exchange (PBX), telephone switching equipment that routes and processes calls using the public telephone network, facilitating commonly available features like voice mail, call forwarding and intercom. In hotels, PBX systems manage the thousands of telephone activities throughout the building each day, and are often integrated with important guest service applications such as Property Management Systems (PMS) and Customer Service Automation (CRM). While these behind the scenes activities are invisible to guests, the PBX is critical to the daily operation of the hotel. Today’s hotel guest expects an ever-increasing array of communication services, from email to fax, and hotels must meet the competitive challenge with the best possible technology. IP PBX systems, which have taken hold among enterprise users, are becoming the new epicentre of services at hotels. With an IP PBX, features such as real-time billing and intelligent speech recognition are simplifying guest services and check out. As adoption of this technology moves forward, however, hotels are challenged to find the right migration path from a traditional to an IP PBX. Deploying an IP PBX is a significant undertaking, and hotels should consider how their trusted applications will integrate with the IP PBX. The IT and MIS staff of hotels should know that there are several options to choose from when deciding to make the transition to IP telephony. Until recently, hotel phone service was a relatively simple technology, consisting of a service provider, a PBX system that routed calls, a call accounting system for billing as well as handsets in the room. The phone network communicates the price and duration of a guest call to the Property Management System (PMS). The new generation of PBXs offers CRM, computer telephone integration (CTI), video conferencing, data streaming, content delivery network support, storage area network support, and voice over IP (VoIP). Based on Frost & Sullivan’s latest report, the demand for IP PBX will continue to soar over the next five years. In 2005, for the first time since their introduction, shipments of IP PBXs in the United States exceeded traditional PBX. The demand for traditional PBX systems will continue to decline as the need to address the convergence of voice and data transmission increases in importance. In-Stat/MDR expects the number of IP lines shipped in PBX systems to grow from 5.5 million in 2003 to 15.9 million by 2008. The change in the hospitality industry in handling phone service centers around convergence. The definition of ‘communications’ has expanded to encompass voice, fax, data, video and email traffic. Today, as technology has worked its way into every aspect of our everyday life, people also expect these conveniences when traveling. Expectations for communication services are essential to the majority of hospitality guests. It is imperative for a sophisticated communications management system to account for telephone charges as well as internet usage, equipment fees, surcharges and taxes – all in real-time. The convergence of voice and data onto a single architecture is occurring mainly on Internet Protocol (IP). The argument being made for IP communications centers on the fact that most hotels have a data network already in place, and the network usually has unused bandwidth, that could be used to carry voice calls. While traditional PBX systems switch telephone calls using the PSTN (Public Switched Telephone Network), or local telephone company, IP telephony consists of technologies that use the internet protocol's packet-switched connections to exchange voice, fax, and other forms of information that have traditionally been carried over the telephone networks of the PSTN. Using the Internet or local enterprise network, calls travel as packets of data on shared lines, avoiding the calling costs of the PSTN, and improving efficiency. Property Management System (PMS) – the property management system is the tracking centre for all guest activities throughout a hotel. Since becoming the de facto standard in data communications over the last decade, IP has been heralded as the new frontier for voice communications. While VoIP technology adoption has been rapid amongst enterprise users, hotels are just beginning to see the benefits of bringing their PBX onto an existing broadband connection. What are the advantages of IP PBX systems in hotels? For most adopters, the key reason to transition to IP PBX systems is cost savings. 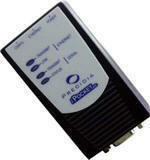 As data communications users have long understood, IP offers free communications. Calls are no longer transmitted via the PSTN, but through a broadband internet connection, avoiding PSTN tolls and charges. Another significant benefit of an IP PBX is the ability to converge many services onto one common architecture. Regardless of the number of worldwide offices a company has, it only have to invest into one PBX system to handle remote access, data routing, and unified messaging. The single network architecture means less equipment and easier integration for IT staff. Communication between branches, whether across states or countries, can be easily achieved by dialling an extension number. Often, technology adoption is slowed by the fear that future applications will suffer compatibility problems with the IP PBX . IP PBX manufacturers have eliminated this concern by adopting a common protocol, ensuring that users can choose from a wide range of applications into the future, retaining the capital investment in their new IP PBX. With voice and data merged onto one common IP network, the need to maintain separate networks is eliminated, and remote management of the PBX becomes possible, with the right equipment. With an IP PBX, yearly maintenance contracts are not required. A mid sized company with 1000 employees can typically realize savings of $200,000 in ongoing maintenance costs. The hospitality industry is key for IP PBX manufacturers. It is a highly specialized telephony market that represents approximately 30 percent of total telephony capacity. This is evident in the hospitality-specific feature sets now available on the market. Features include intelligent speech recognition for more efficient guest services, and in-building wireless communications. Clearly, the transition to IP PBX systems offers great promise to hotels. IP systems deliver advanced communications that enhance the guest experience, improve customer service and optimize operational productivity and costs. The deployment of an IP PBX requires a significant up front investment to replace the PBX, related applications, and some network upgrades. This is especially true for hotels, as the cost of a PBX increases with the number of features required. Hoteliers need to be fully aware of these costs before undertaking any PBX replacement. Quality of Service (QoS) is a critical requirement for IP telephony. The main concern about IP telephony is that telephone calls may not sound like a "normal" phone call due to packet delay and latency through the Internet. Infrastructure Reduction and Long-Distance Savings mean little when the voice quality is poor. With an IP PBX on a converged network, IT staff that previously maintained voice and data separately will need extensive training to administer and maintain the new system. With all data and voice transmissions routed through the single network infrastructure, workload for IT staff can increase. While most IP PBX systems offer the basic features, none offer the range of features of a traditional PBX, which incorporates more than 30 years of tested and customized features. While many of the common hotel applications, such as PMS and CRM, are available in IP versions, users sometimes find them less stable than their original versions . Hotels rely on these applications, which work well for them, and they are usually reluctant to change them, particularly in the context of new PBX system changes already taking place. Tharaldson Communications (TCI) found a solution, which is discussed below, to this problem that allowed them to retain their trusted applications while replacing their PBX. Armed with this information, hotels are faced with a choice: retain the status quo, without the benefits of IP PBX, or upgrade to an IP PBX . PBX replacement carries with it the risk of losing trusted legacy applications, while stretching capital budgets. A few innovative hotels have found ways to navigate this dilemma, with results that other hotels can easily emulate. Maximizing a Legacy PBX: Hotel Telephone Management (HTM) Ltd.
On the path to complete IP migration, there are transitional solutions that maximize existing PBX systems and networks, while delivering the required IP functionality. UK based telecom service provider HTM Ltd. understands the challenge of dealing with legacy telecommunications equipment. Many of the hotels they worked with wanted to keep their existing PBX, but gain the benefits of IP – remote management, reduced costs, without the investment required to replace the PBX. You’ve researched the manufacturers, selected an IP PBX to meet your needs, and deployed it successfully. Your only remaining problem is the legacy applications your hotel relies on; they don’t work with the PBX anymore, and the IP versions don’t work well either. Is there a solution to this problem? Tharaldson Communications Inc. (TCI) found one. Tharaldson Communications offers telecommunications solutions and services to the hospitality industry throughout the United States. Among their customer base, PBXs are often the first hospitality system to be upgraded, but critical applications, particularly PMS, are not always available with IP capability. The challenge for Tharaldson was to integrate the new PBX with various existing systems to enable information sharing. 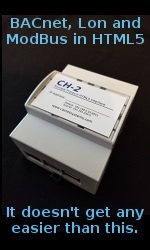 Tharaldson deployed the iPocket232, a compact serial to Ethernet converter, with the Mitel SX 200 ICP. It was a simple, cost-effective method to connect their customers' voice mail, PMS and Station Message Detail Recording (SMDR) systems to the IP PBX. Through networking, hotel operators can activate room phones on check-in, provide enhanced voice mail options and improve call accounting. The iPocket232 seamlessly enables data sharing without changing existing processes so that most operators aren't even aware that it's part of the PBX solution. The device, which sells for under $100 and is verified by leading PBX manufacturers such as Mitel, provides the bridge between legacy equipment and applications, and newer, more sophisticated IP systems. IP PBX transition strategies for hotels centre around cost and application integration. IP adapters respond to both issues, ensuring a successful migration to IP telephony. The best technology buying decisions are made when a full range of options are presented and reviewed, and Hotel IT managers must consider their budget, tolerance for change, and the extent to which the appropriate technical resources can be deployed. The transition to IP can be incremental, or can be rolled out in one large deployment. When making a decision on IP telephony, Hotels should consider the applications they rely on for efficient service and customer satisfaction, and conduct thorough research on the availability of IP capable versions. Whether a hotel favours an immediate roll out or an incremental approach, a compact IP adapter can help ensure that existing applications continue to run smoothly. Deepak Wanner is a ‘serial’ entrepreneur, with recognized expertise in the point-of-sale technology market. Before founding Precidia Technologies in 1999, Deepak founded Wann Connection Devices in 1992, where he led the development of protocol converters and data concentrators, which resulted in accelerated deployment of debit services across Canada. Since founding Deepak holds a BSEE from the University of Waterloo and an MBA in Accounting from McMaster University.